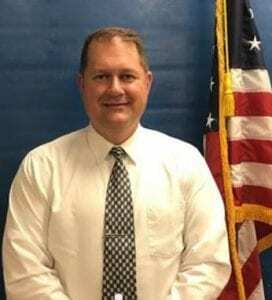 DAHLONEGA, Ga. – Lt. Alan Roach, a 23-year veteran of the Lumpkin County Sheriff’s Office, has a proven record of public service to Lumpkin County but he believes he can do more, which is why he has decided to run for city council in Post 5. Roach attended North Georgia College and State University and has earned a bachelor’s degree in Criminal Justice and master’s degree in Public Administration. His responsibilities with the sheriff’s office include training officer, public information officer and training officer. He also helps to ensure the office meets strict accreditation standards. Roach said he will continue to be employed by the sheriff’s office if he is elected. 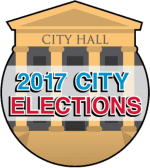 Before he qualified for the campaign, he asked for and received the approval of Sheriff Stacy Jarrard, the city manager and county manager. He realizes that one of the issues that has gained the most publicity is Roberta Green Garrett’s application to build a hotel in downtown Dahlonega. But beyond that, he said, there is a real need to improve the city’s infrastructure, especially as it relates to parking in and around the city square.